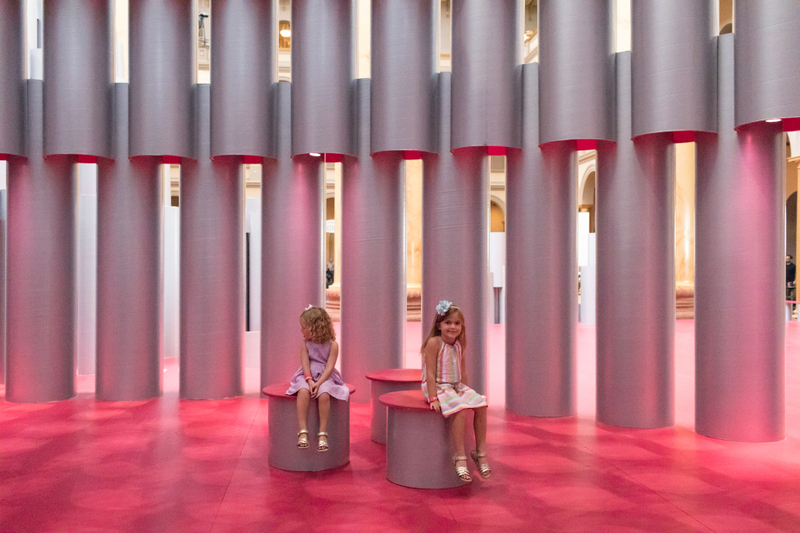 In this exhibit children get to learn what it’s like to be a farmer. They can dress up in overalls and straw hats and get to work milking a life-like cow and collecting eggs from the play chickens. Kids love riding the equi-ponies in this area and learning how to care for them. 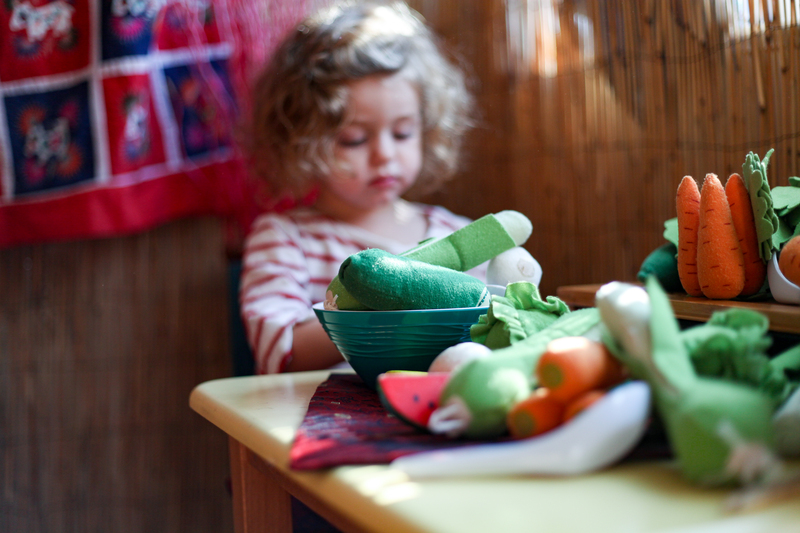 There is a puppet stage where children can create and perform their own farm story. 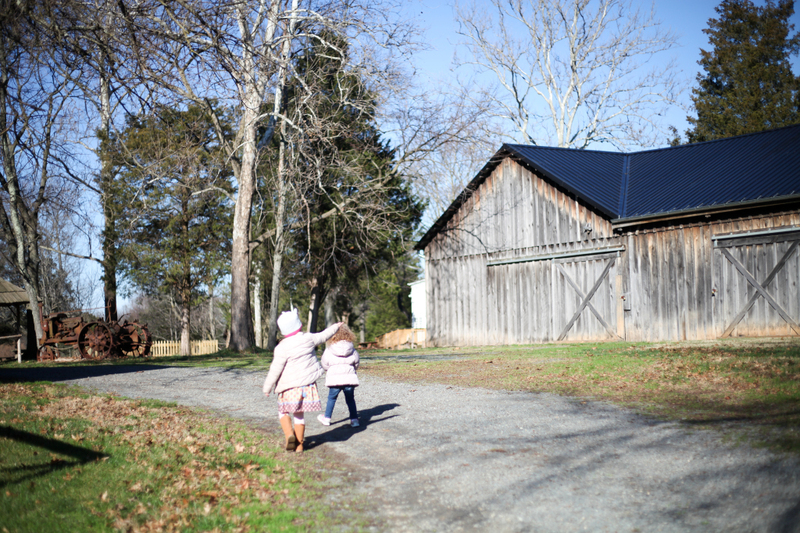 They can also go for a ride on the pedal tractors in the open space in front of the barn. 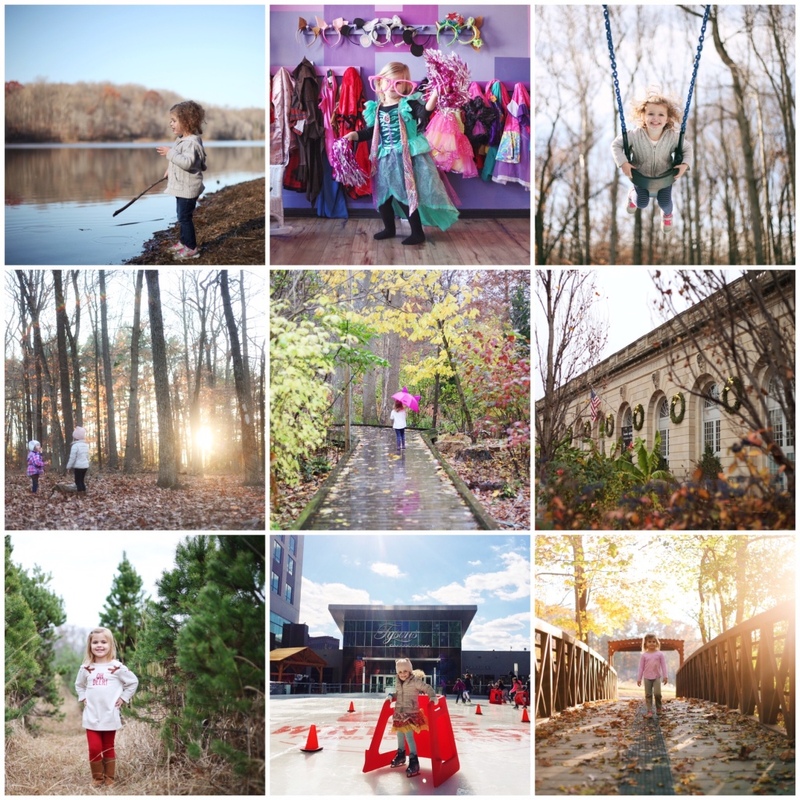 This was definitely the favorite activity for my energetic girls! 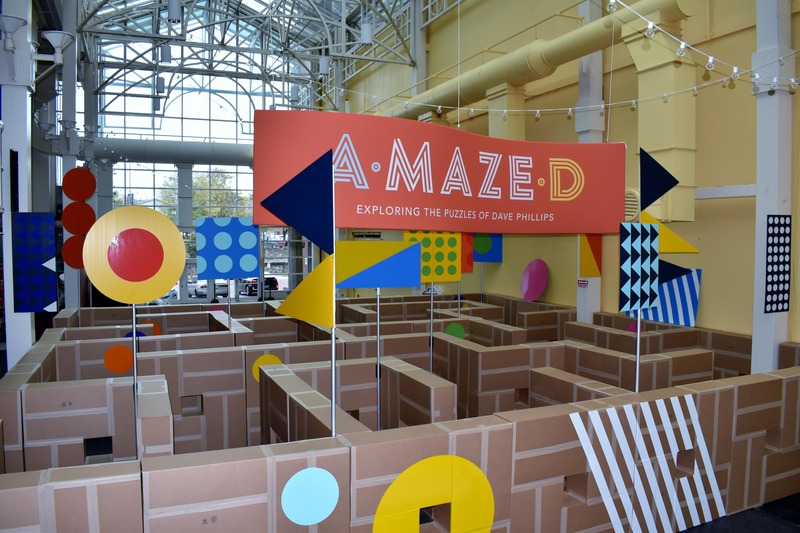 Another fantastic exhibit for children who like to role-play. In the Waxpool General store, kids can play shopkeeper, shopper, or postmaster. 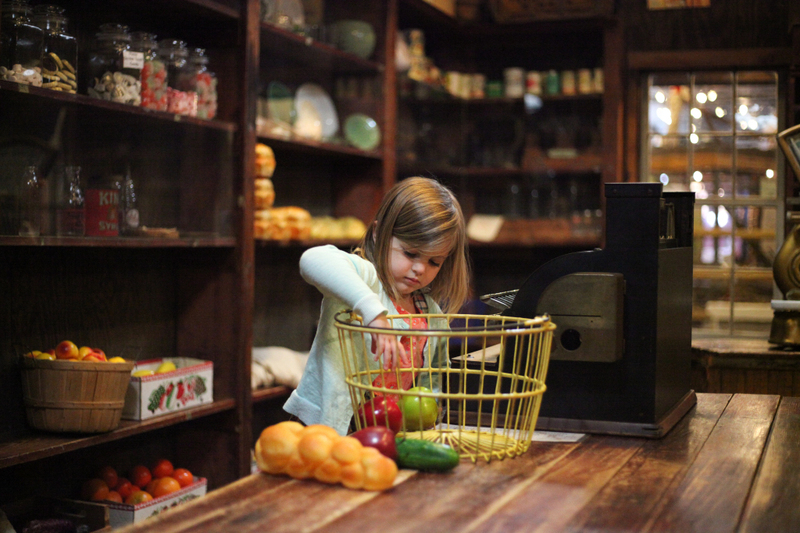 There are shelves and baskets full of play food and a charming antique cash register. 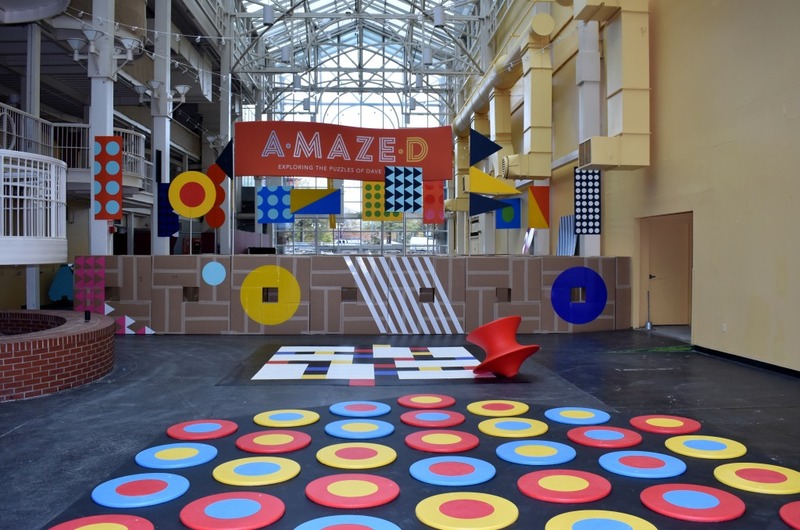 This definitely beats the typical pretend grocery store found in children’s museums. My girls also loved sorting and delivering the mail in the post office area. In the back of the museum is the Grandma’s Kitchen exhibit, a replica of a century-old farm kitchen. 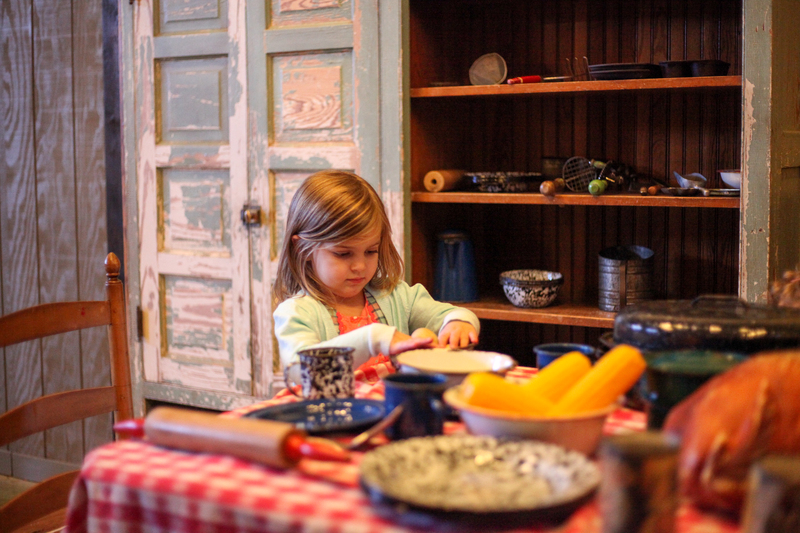 My daughters loved using the old fashioned kitchen tools and wood burning stove to pretend to prepare and serve meals. Children who love play kitchens will definitely want to spend a good amount of time here. 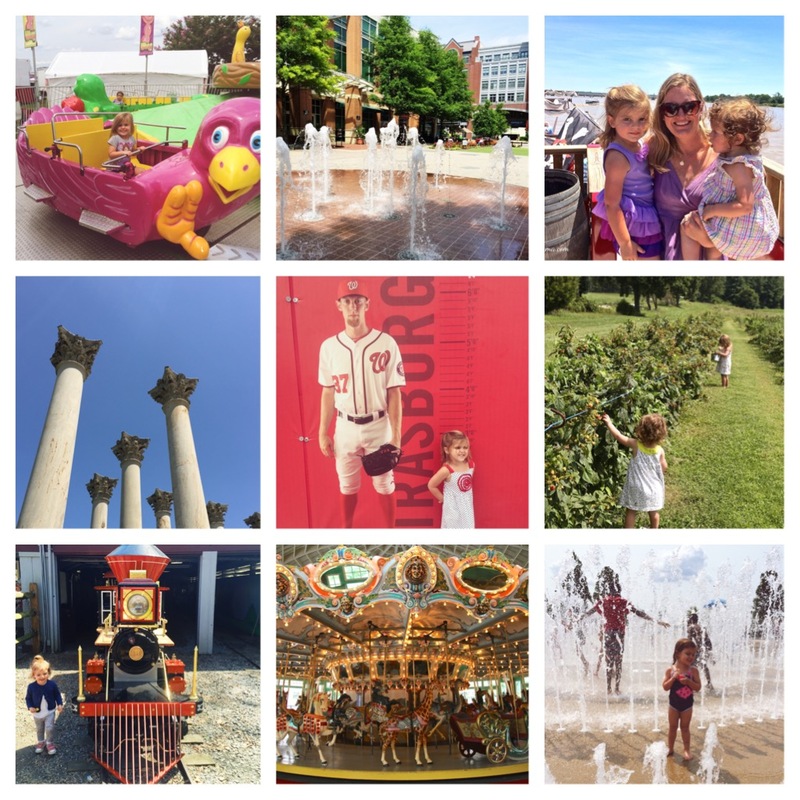 There is more to explore outside on the beautiful grounds surrounding the museum. The American Workhorse exhibit is located in a large barn behind the museum but it’s only available to view on select special events. If you keep walking along the path you will come to a pond. It has a few docks where you can feed the ducks and geese. 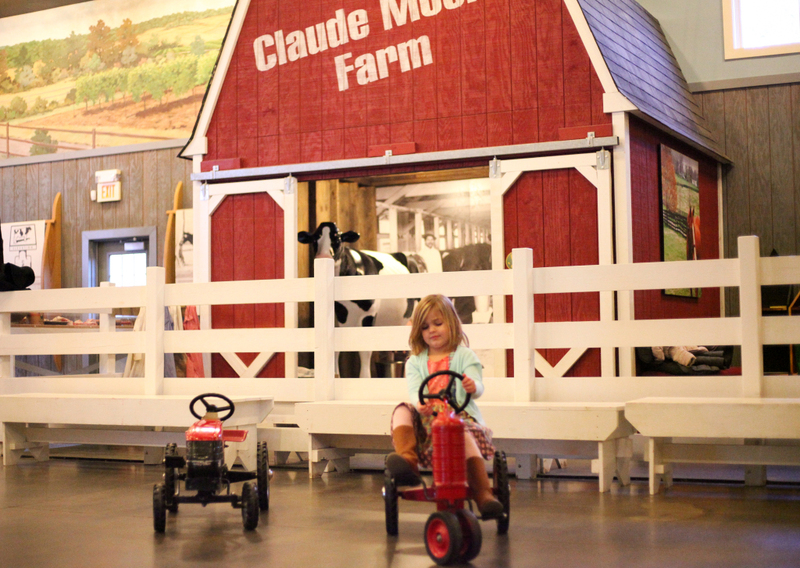 In addition to the daily exhibits, the museum also holds popular annual events including Tractorpooloza, Bunny Bonanza, and the Princess for a Day Ice Cream Social. 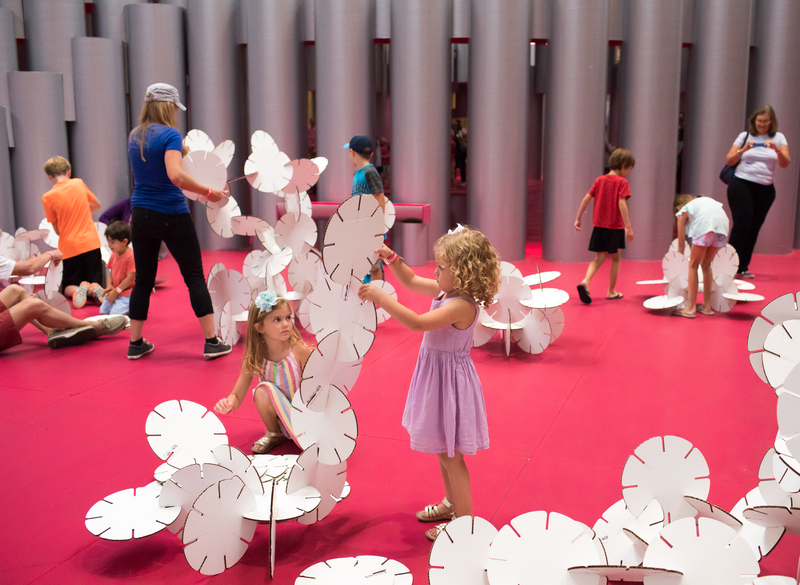 They also offer summer camps and Kids’ Night at the Museum drop off events the second Saturday of every month. Registration information can be found here. We visited the museum on a regular Saturday morning and it wasn’t crowded at all. 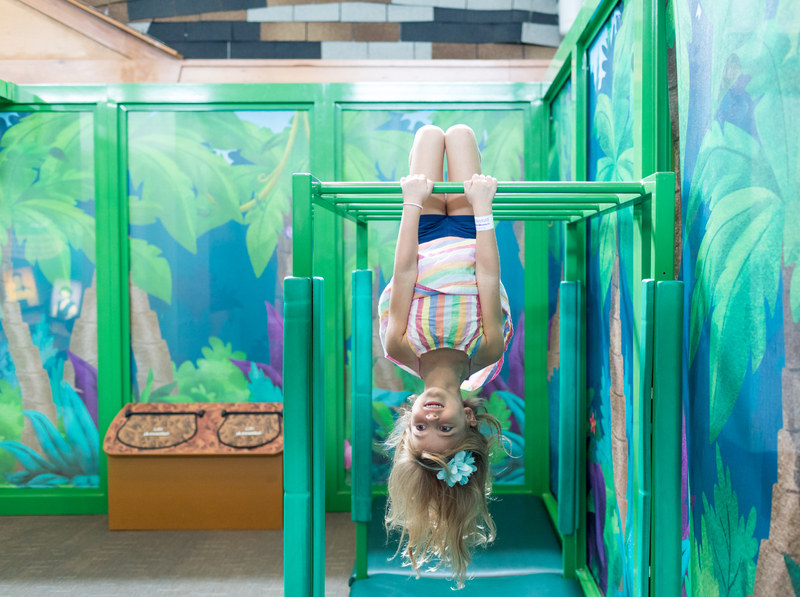 The museum is not a big place making it easy to manage multiple small children. It is the place to go if you are looking for a fun and low-key outing. 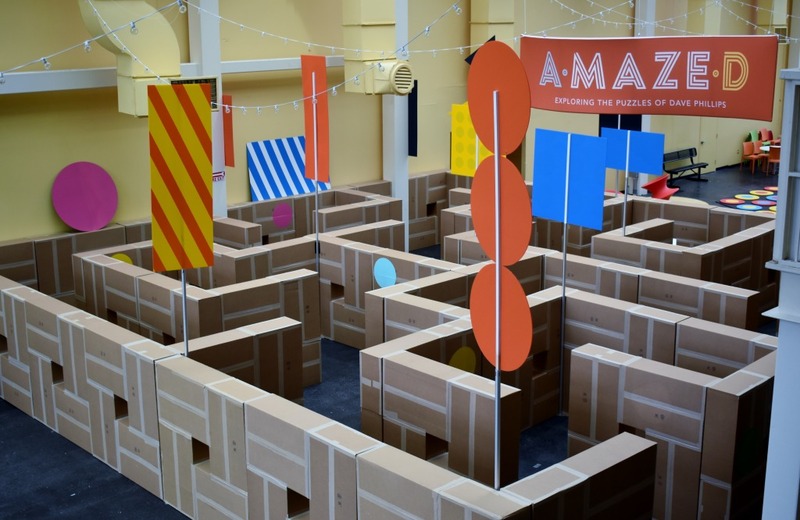 There is enough to do here to keep your kids entertained for at least a couple of hours. After our visit I was asking myself why I didn’t hear about it sooner! 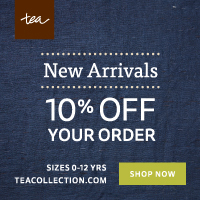 • Hours: Tuesday – Saturday 9:30 – 4:30pm, Sunday 11:30 – 4:30pm, Closed Mondays. • Food and drinks are not allowed inside the museum but there are picnic tables outside where you can have a snack on a nice day. • There is ample parking available in front of the museum. • There are bathrooms with changing tables available as well as designated stroller parking. 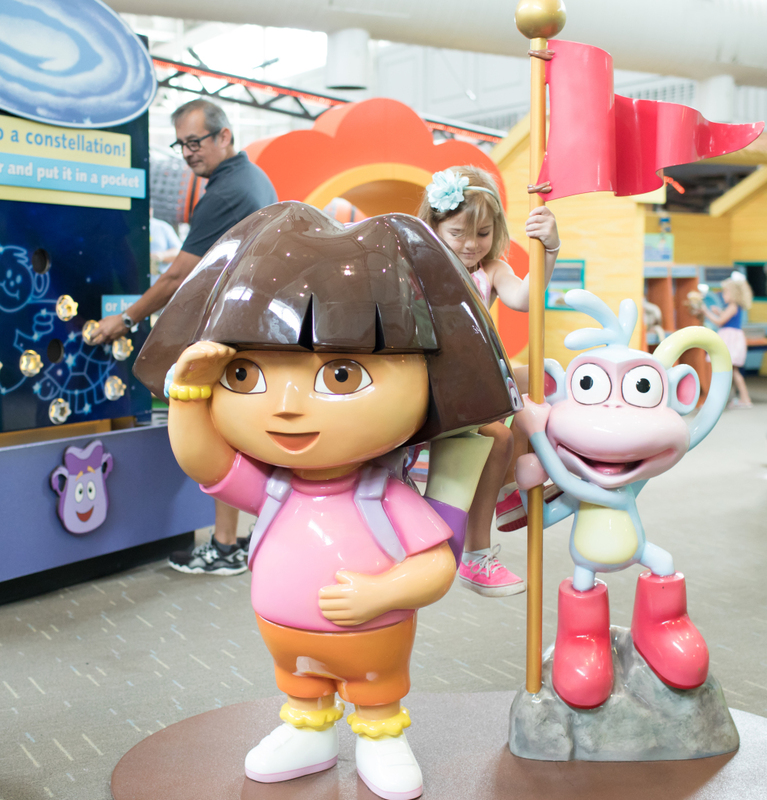 • The museum is located near Dulles Town Center and Dulles 28 Centre which both have kid friendly options for lunch. 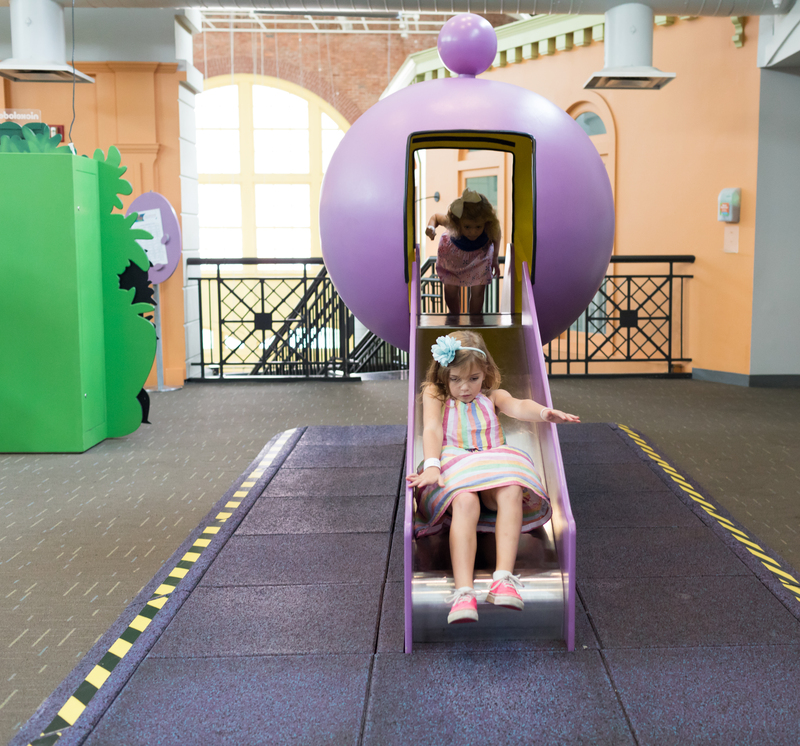 The Original Playhouse is a children’s museum that encourages children to use their imaginations and learn through play. 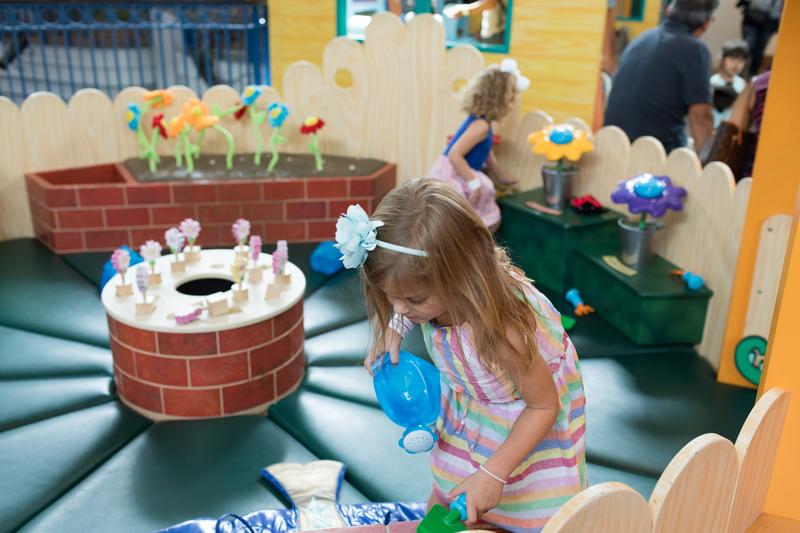 It is designed primarily for children ages 3-10 and offers an opportunity for cognitive and social growth. It is located in a charming 2-story house in the quaint downtown area of New Market, MD. 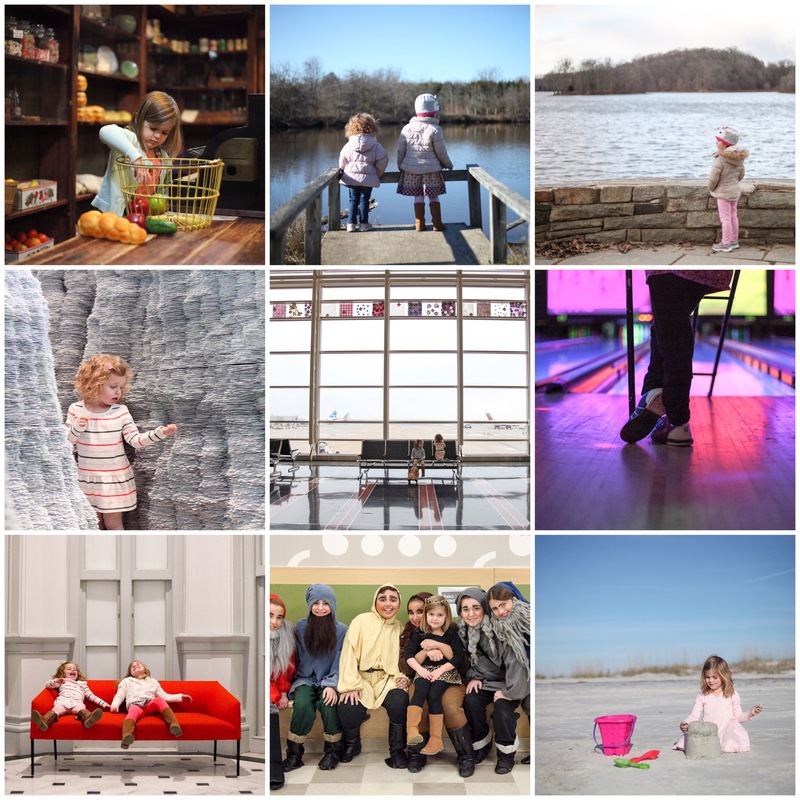 It’s about a 40 minute drive north of Washington, DC but we discovered it is well worth the trip! 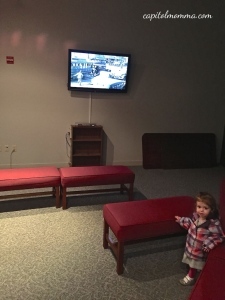 This is the first area that my girls were immediately drawn to once we arrived at the playhouse. They loved the large water table where they could experiment with various water toys. 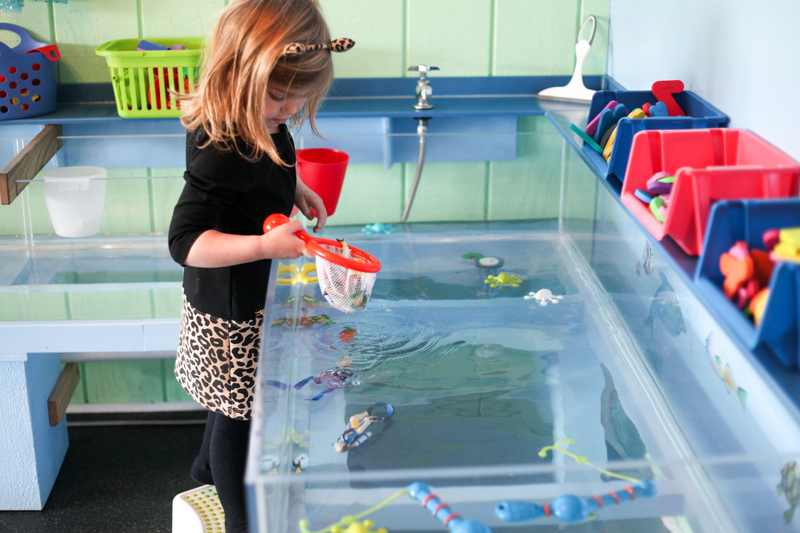 There are mini nets and fishing poles and an assortment of toys to use with discovering what floats and what sinks. 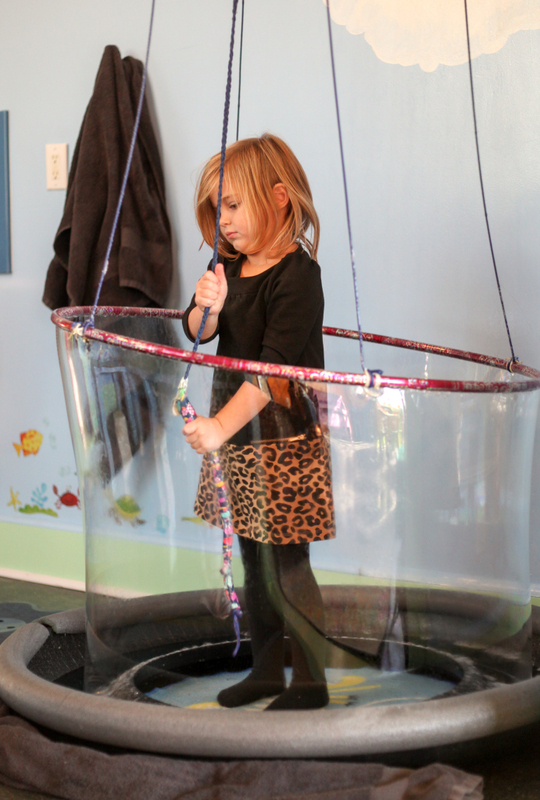 Also, located in this room is a fun bubble station where the child can create a giant bubble surrounding their whole body. This was a big hit with Clara! 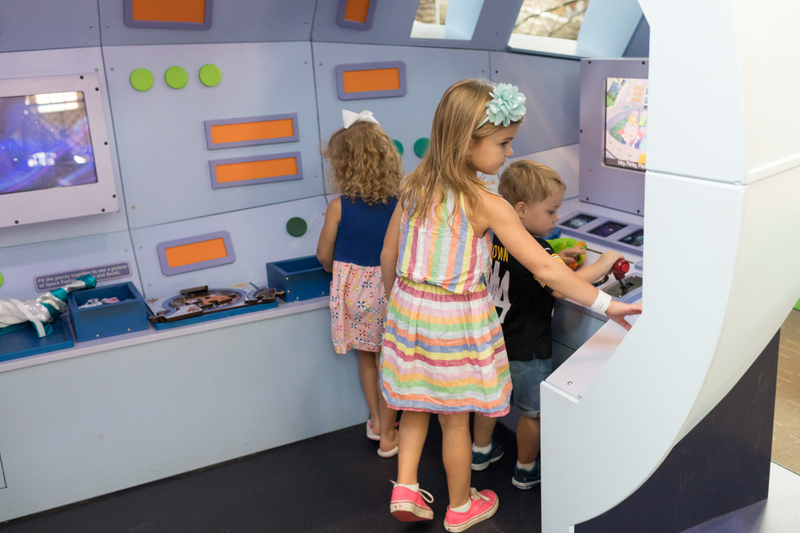 This room is full of hands on equipment and toys designed to encourage the children to build, experiment, and solve problems. 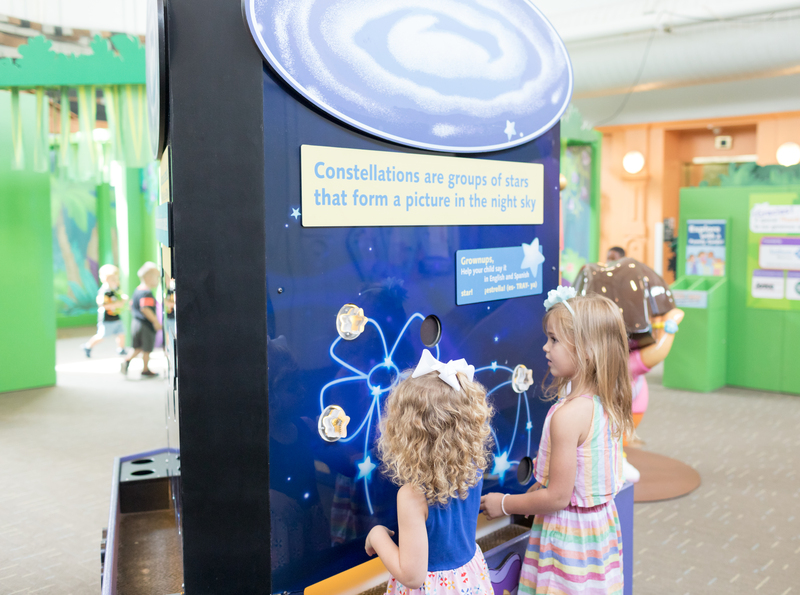 There are tools, legos, marble ramps, blocks, and magnetic toys all to help children discover how things work. My girls spent a lot of time building their own little city with wooden blocks. 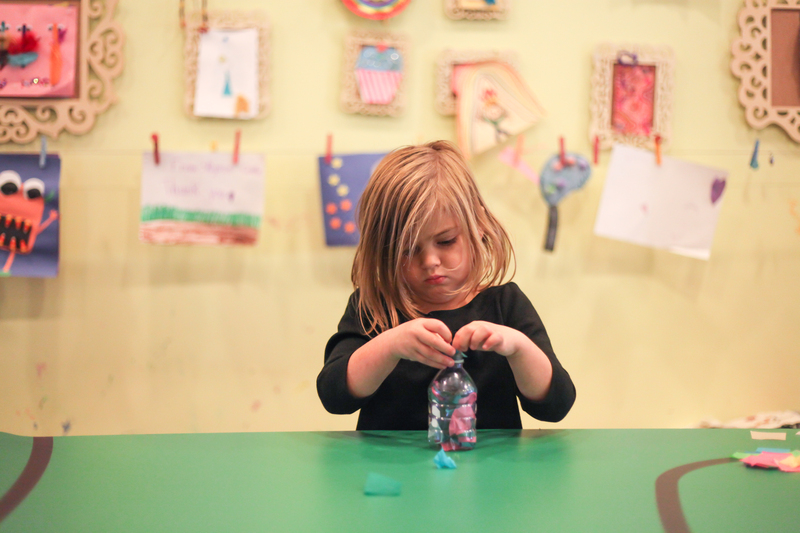 Children can use their creativity and make their own masterpiece in the art studio. It is stocked with all kinds of art supplies including feathers, beads, tissue paper, googly eyes, markers, paint, and lots more. 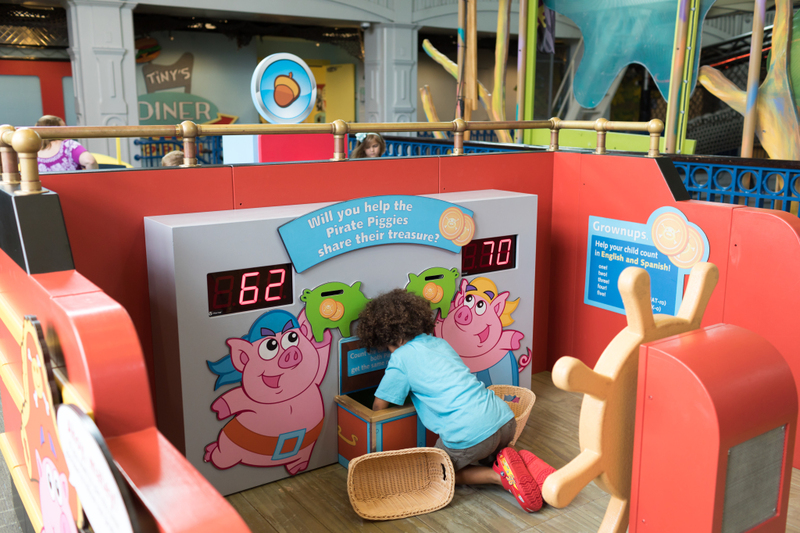 Each child receives tokens that are used to “pay” for their crafting materials and supplies. If your kids need a little guidance on where to start, there are ideas of projects to make hanging on the wall. Or they are free to come up with their own design. My girls loved making their craft and were excited to have something to take home with them. The Reader’s Theater is a fun room where children can act out stories that are provided to them or make up their own. 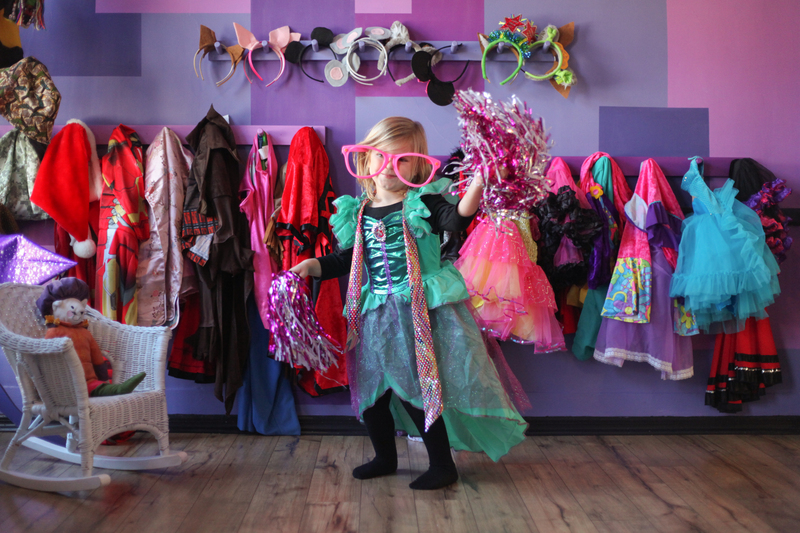 There is a wall full of costume and accessory options for both boys and girls – from princesses, to clowns, to superheroes. And lots of different props are available to help the children tell their story. In the corner of the room is a small stage where the children can perform. Clara and Mae are in the midst of the dress-up and imaginative play stage so we spent a lot of time in this room trying on costumes and acting out various characters. This room is filled with animal-centered activities. 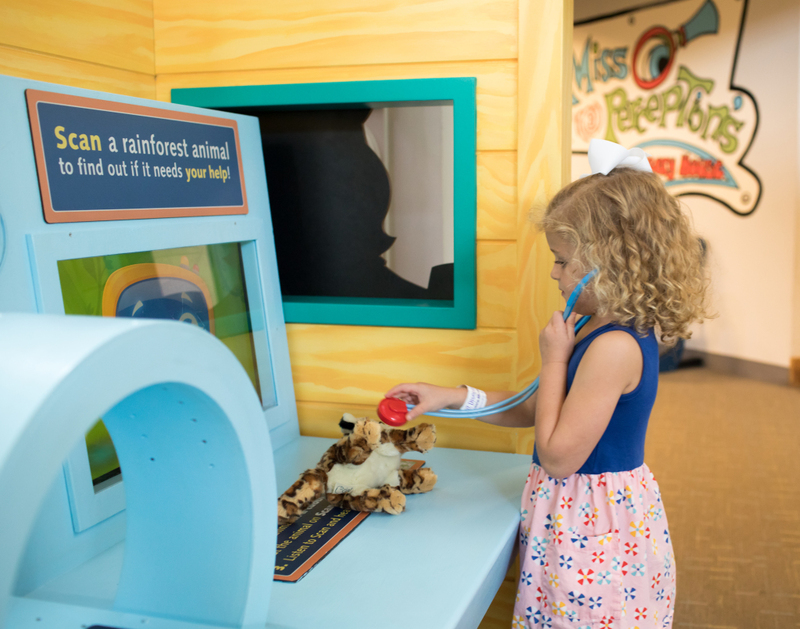 There are lots of stuffed animals and a veterinarian station where children can role play. In one corner of the room is a pet hamster that the kids enjoy observing. Children are transported to a foreign land in the Village Market and Home. 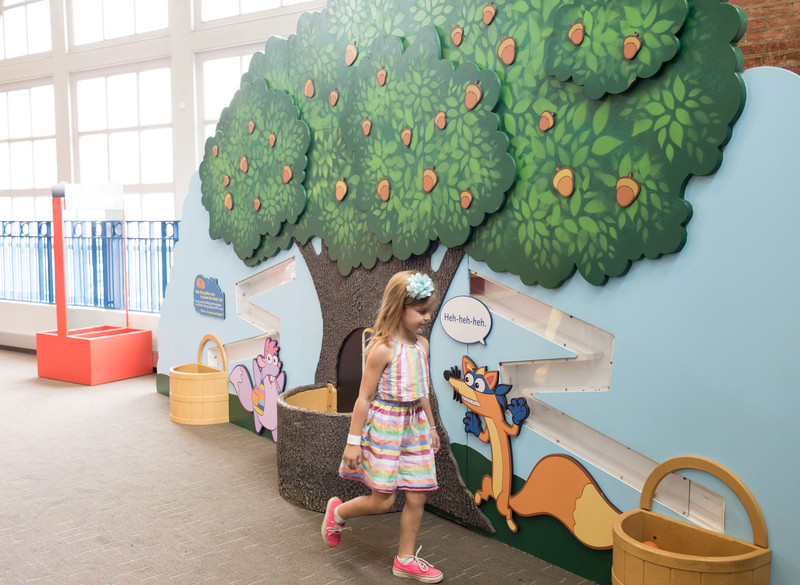 The exhibits change regularly and are designed to teach children about different areas of our world. My girls loved shopping at the market and taking the food back to the village home next door to cook and eat. The last area to explore is the backyard garden. Children will enjoy the castle where they can continue their imaginary play. 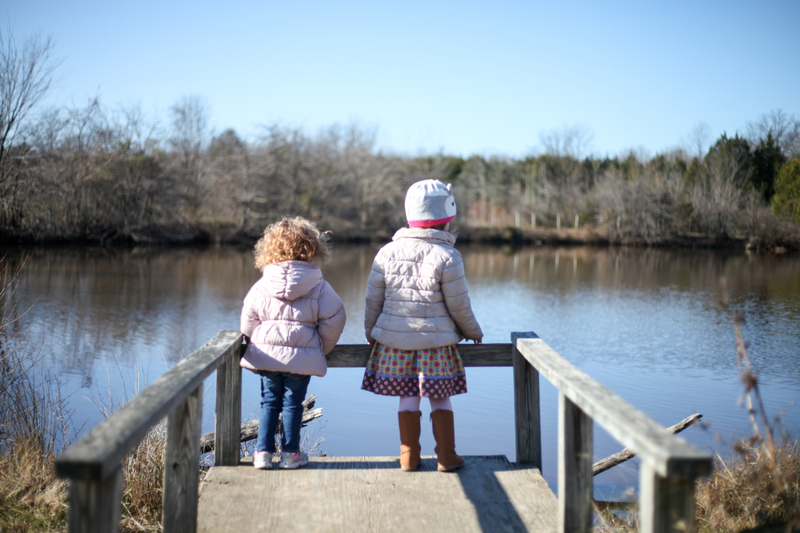 There is also a small bridge they can walk over and stop to look for the Koi fish in the pond below. 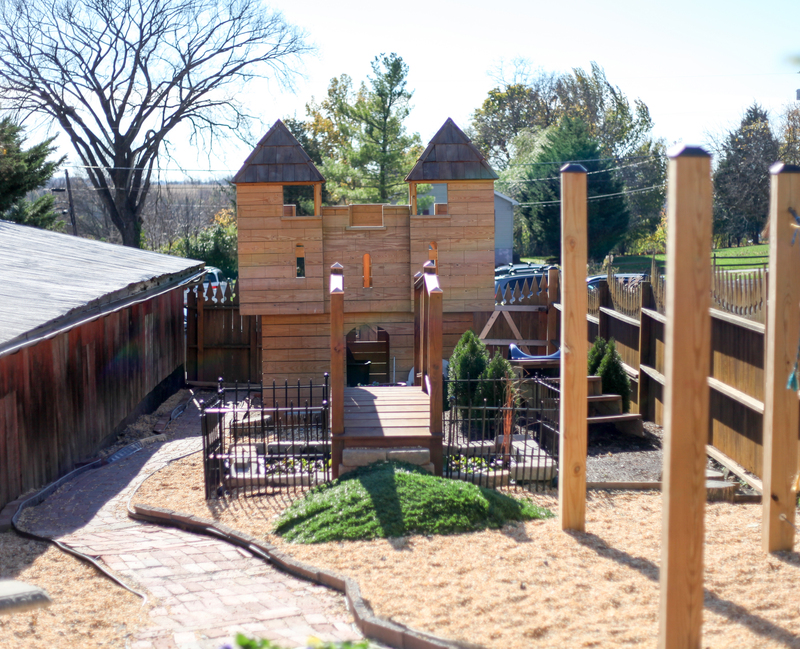 There are a few other fun things to do in the backyard area: go down the slide next to the bridge, play in the sand box, explore the fairy garden, and try walking across the tight rope. • There is limited street parking in front of the museum. Additional parking is located behind the playhouse in the neighboring restaurant’s (Vintage) lot. • It is a shoes-off playhouse, so bring your socks. • Food and drinks are not allowed in the building. 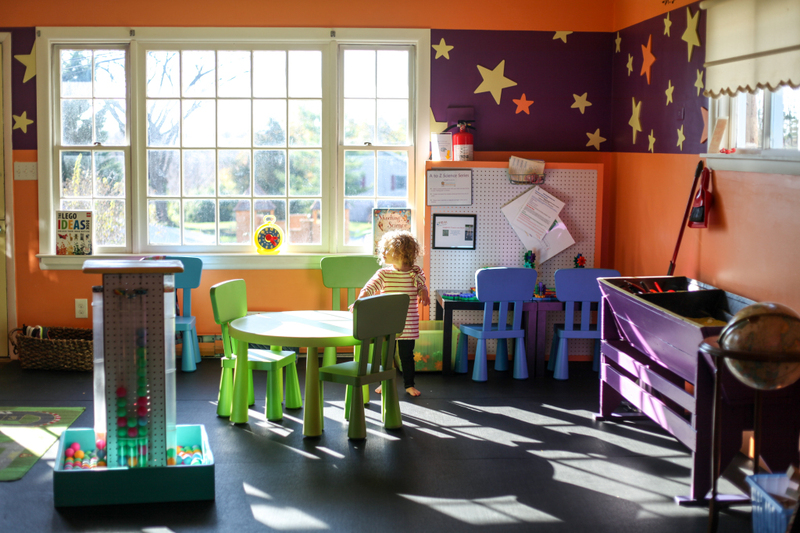 • The playhouse strongly encourages a maximum ratio of 3 children per 1 adult. • There is no reentry once you exit the playhouse, so save the backyard garden play area for last. Who knew trolleys could be so much fun? This place is a hidden gem! 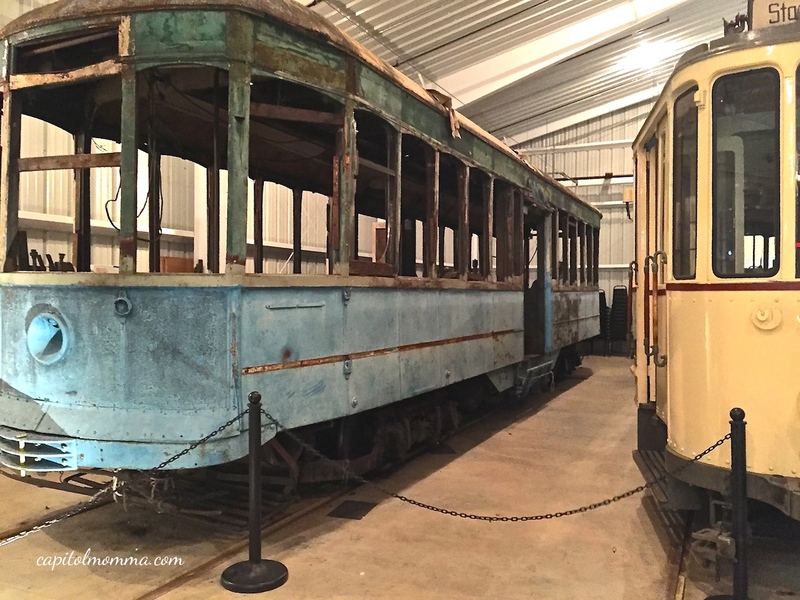 I had never heard of the National Capital Trolley Museum until a couple months ago when I saw their Holly Trolleyfest advertised. I wanted to take my girls during this event in December but the month was busy and we didn’t make it there. So, I decided to take the girls this past weekend to check it out. 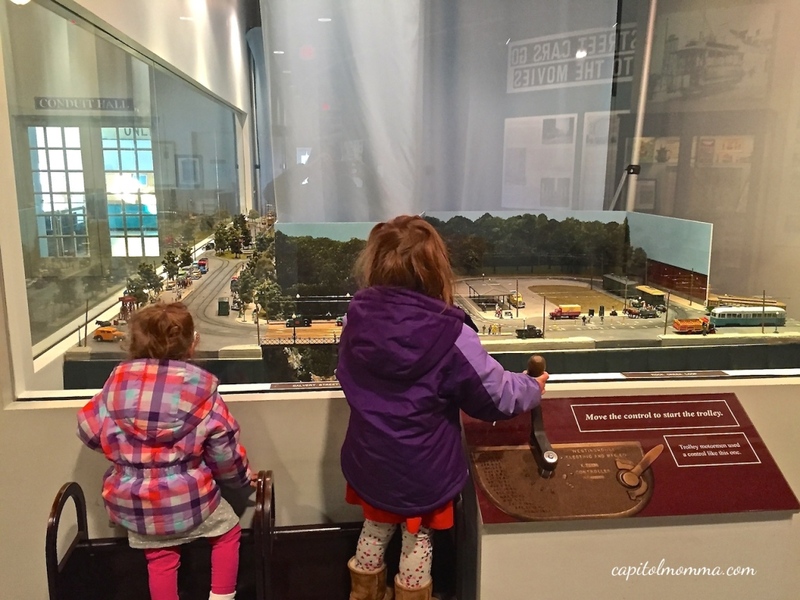 It was too cold to do anything outside and they were going stir crazy in the house, so it was the perfect time for a visit to the museum! 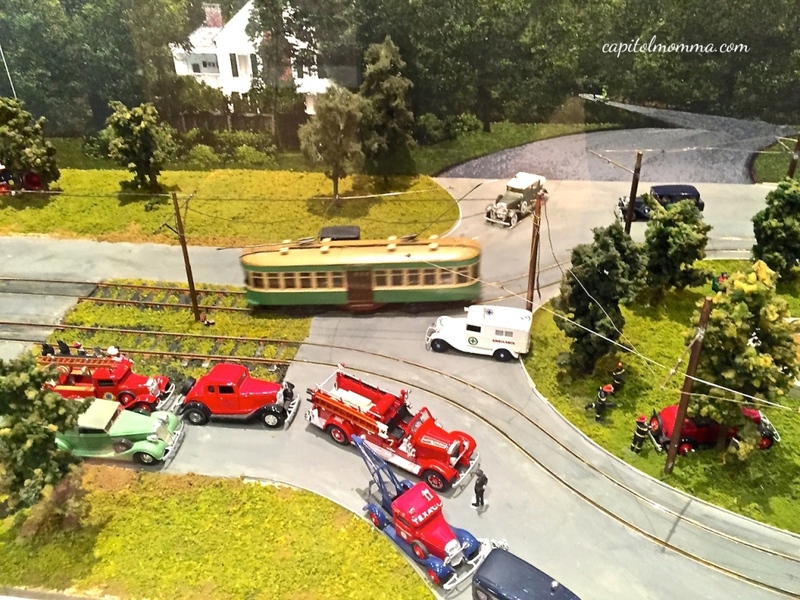 After entering the Main Hall, Clara spotted the Rock Creek Railway Co. model trolley exhibit and ran straight over. 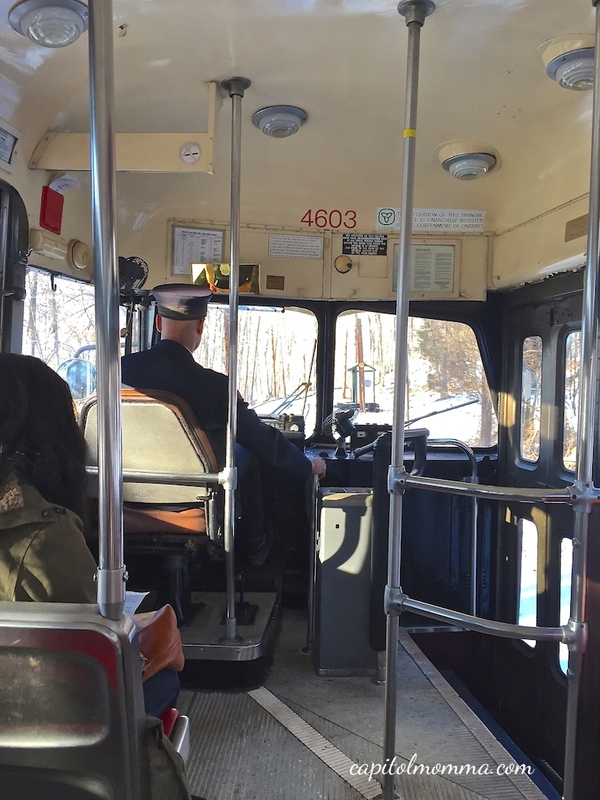 It has a control that visitors can move to operate the street car from Rock Creek Loop to Chevy Chase Lake. There is also a wheel to crank and other buttons to push on the side of the exhibit to turn on lights in the homes and businesses. Also in the Main Hall, is the Street Cars Go to the Movies exhibit that includes a small theater. Large panels in the Main Hall illustrate various communities in the region where street cars were in operation. 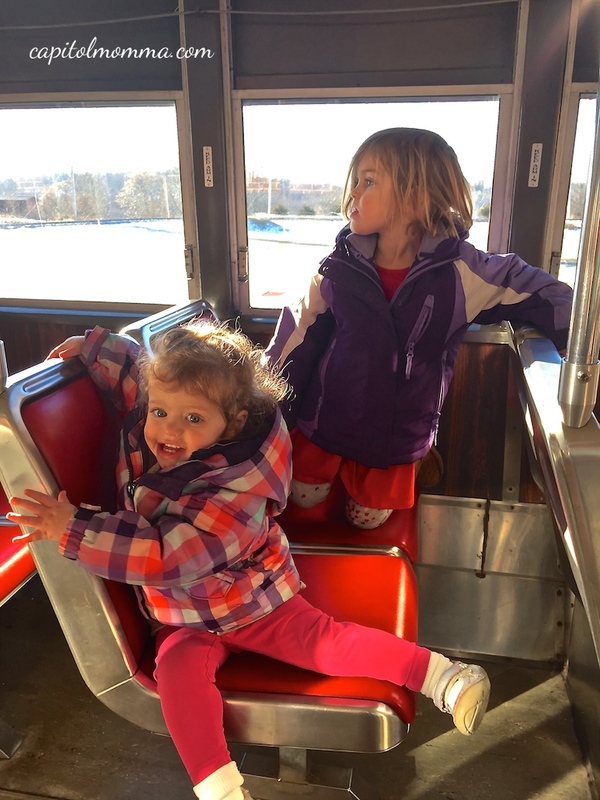 Of course, the best part of the museum for my girls was riding the street car. The 2 mile ride lasts about 20 minutes and takes visitors through the Northwest Branch Park. We saw several deer on our ride and the girls had fun pointing them out. The driver stops halfway through to punch tickets, give a bit of a history lesson about the street car, and answer questions. 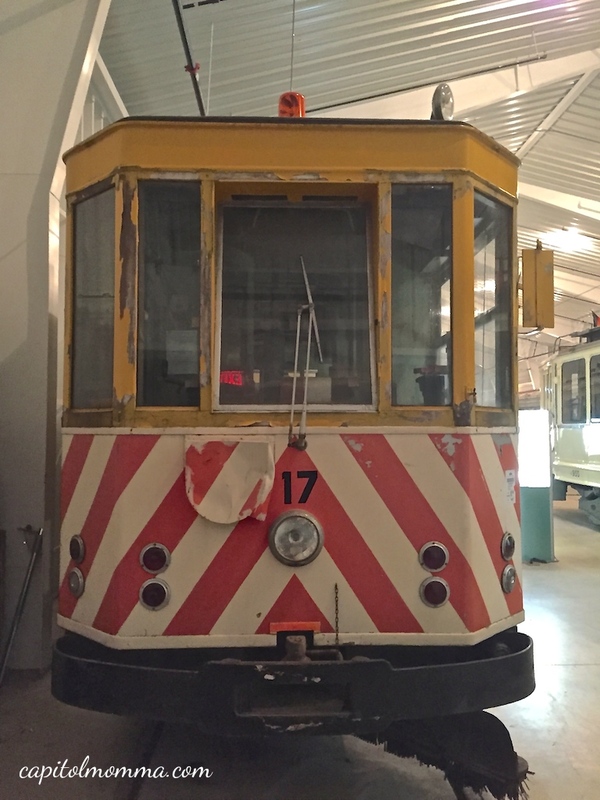 After the trolley ride, we took a tour of Street Car Hall that includes trolleys from all different eras, localities, designs, and purposes. We spent about an hour at the museum and my girls definitely had a good time. 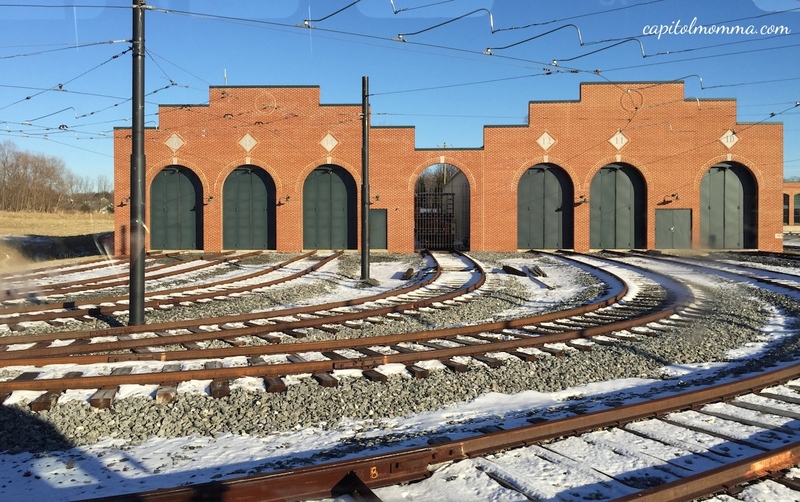 I think any child who likes trains would enjoy this museum. It’s small and wasn’t busy the day we were there so that made it a very low key and manageable activity with two little ones. •Admission is $7 (ages 18-64), $5 (ages 2-17 & 65+) and includes unlimited rides on the trolley. 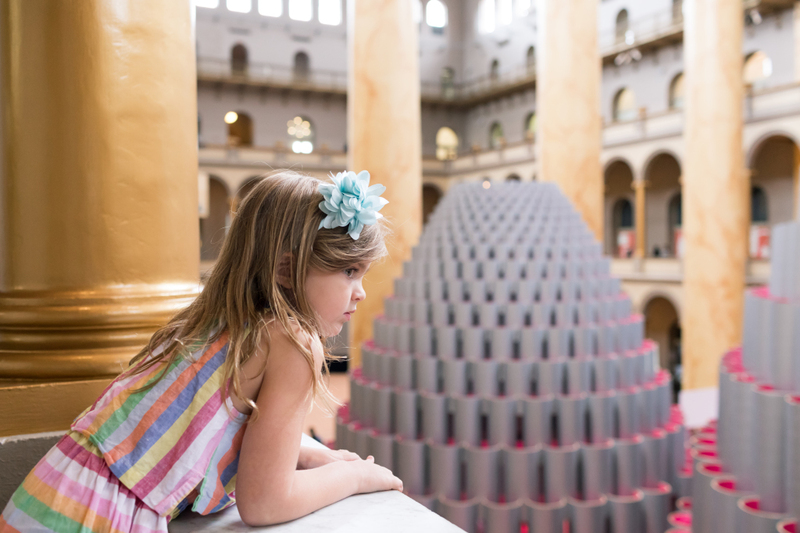 Admission for the museum only (no rides) is $4 (all ages). •Open Saturday and Sunday 12-5pm. 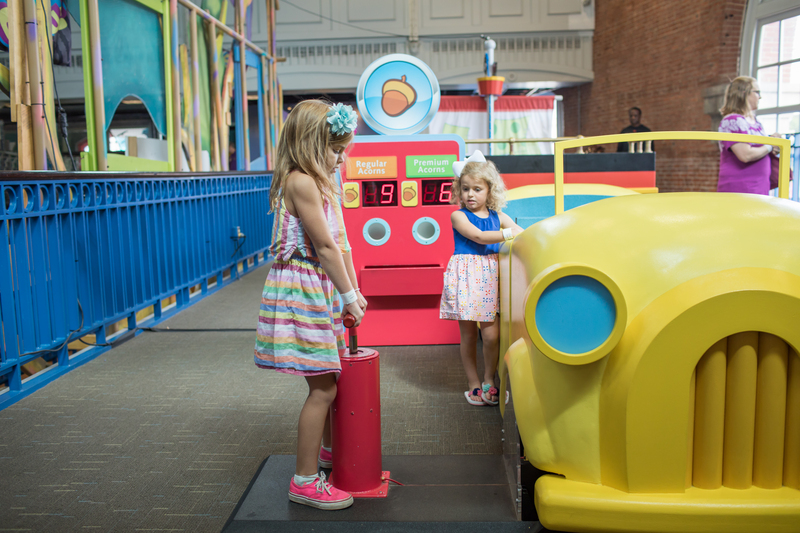 At select times throughout the year, the museum is also open on Thursdays and Fridays. Check the operating schedule here. 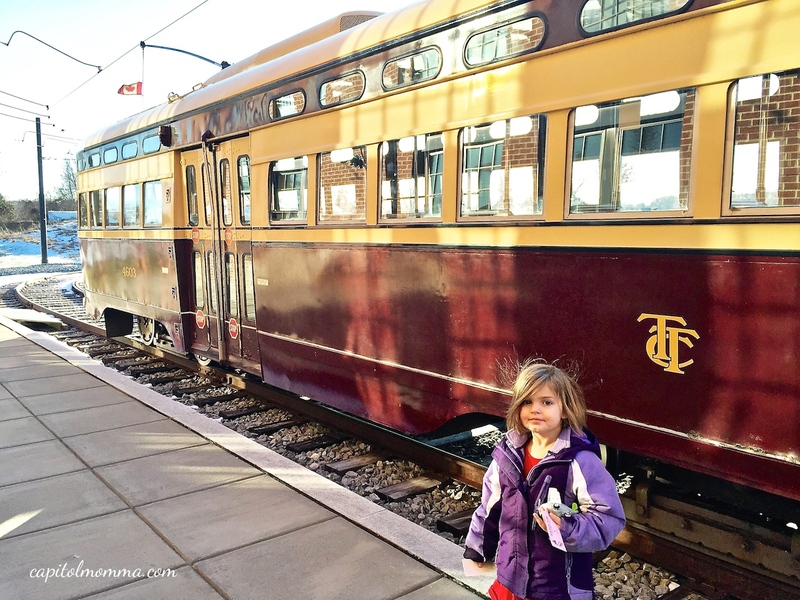 •Trolley rides are offered every 40 minutes. When you arrive, check the schedule located just inside the entrance to find the next departing time. 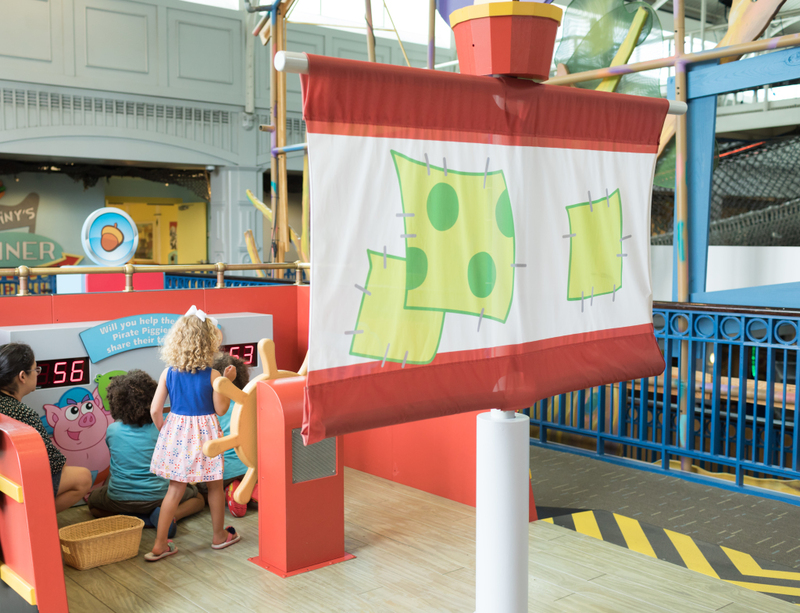 •The museum offers birthday parties and school field trips. •There is a gift shop that sells a variety of items for kids and adults including books, toys, t-shirts, and posters. 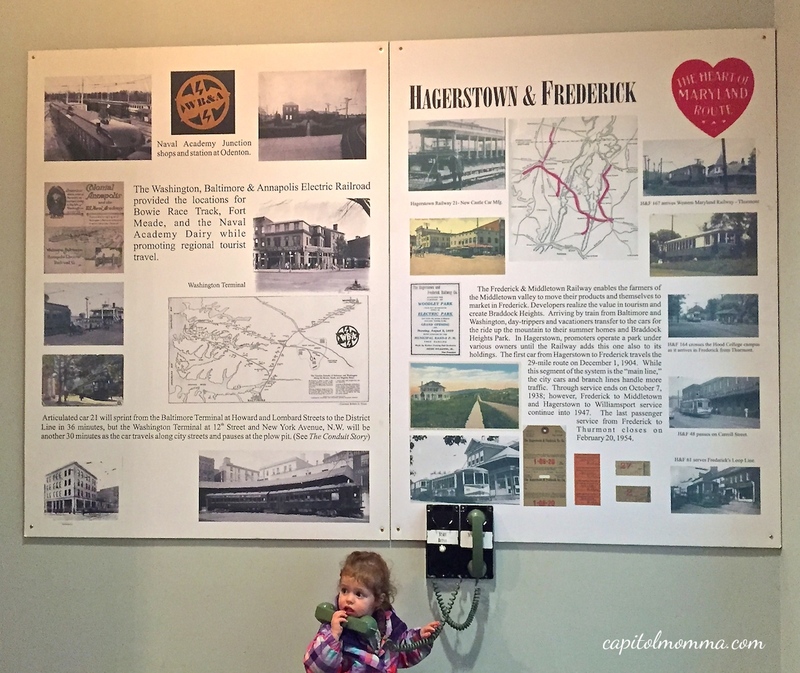 •Stroller friendly, although the museum is small enough you don’t need one for toddlers. 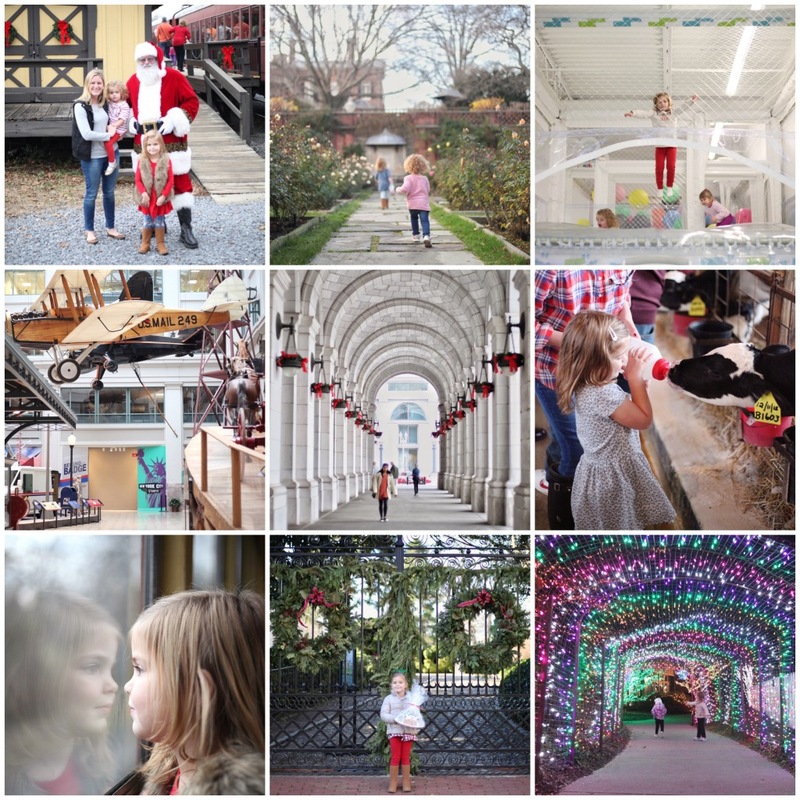 •The museum offers special events including the Holly Trolleyfest in December, where children can ride the trolley with Santa.